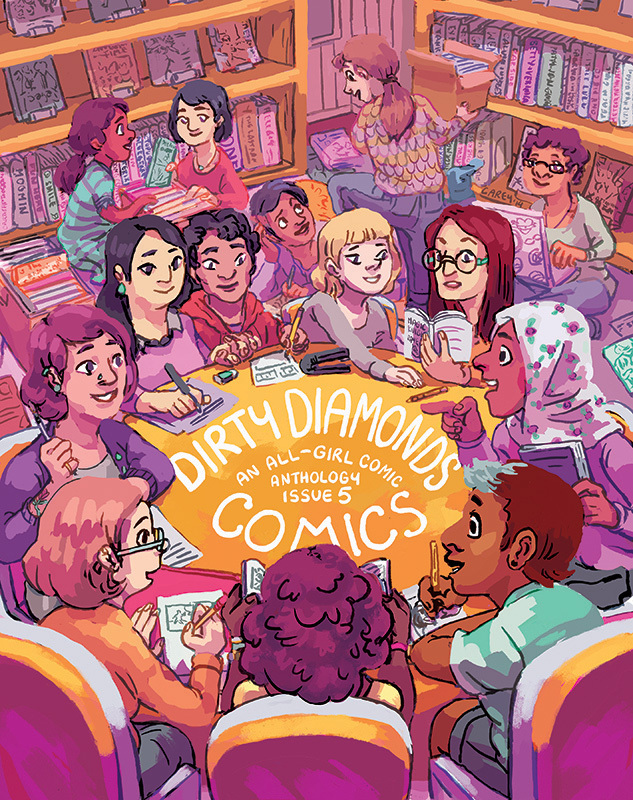 Dirty Diamonds is an all-girl comic anthology. The milestone fifth issue of DIRTY DIAMONDS, and this one’s a doozy! Making its US debut, our first professionally printed book features 32 artists from six different contries all telling stories about the medium that means the most to them – comics! Read stories about these artists’ best, worst, and first experiences with comics.